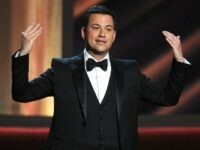 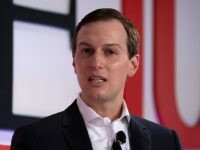 ABC late-night host Jimmy Kimmel went after President Donald Trump on Wednesday, after Trump pointed out how late-night comedy has now become “totally one-sided” and full of “hatred” for him and his administration. 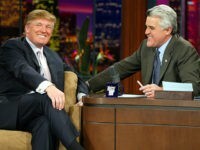 “Actually, the one-sided hatred on these shows is incredible and for me, unwatchable,” Trump added. 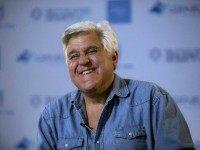 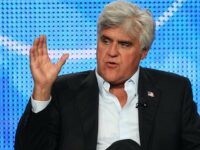 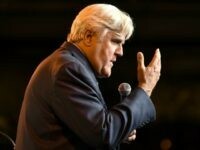 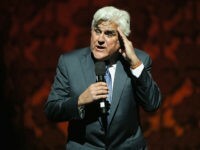 Late-night comedy legend Jay Leno said in a new interview that he does not “miss” hosting late-night shows, saying that the overly political left-wing rhetoric was ruining the humor. 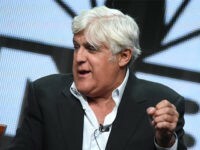 Veteran late-night host Jay Leno stepped in for ‘Tonight Show’ host Jimmy Fallon on Wednesday night and delivered sexual harassment-heavy monologue that took aim at disgraced actor Kevin Spacey, ousted newsmen Matt Lauer and Charlie Rose, and former President Bill Clinton and President Donald Trump. 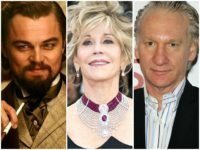 Some of Hollywood’s biggest left-wing stars, including Academy Award winners Leonardo DiCaprio and Jane Fonda, and HBO host Bill Maher, have donated to a political committee called Flip the 49th! 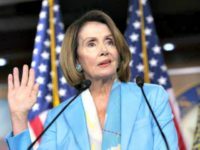 Neighbors in Action — a campaign to unseat Rep. Darrell Issa (R-CA) in next year’s election. 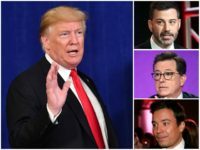 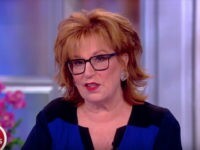 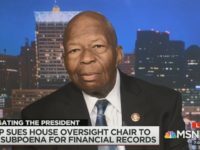 The 66-year-old former Tonight Show host told the Hollywood Reporter in an interview that the problem with the Republican presidential nominee is he doesn’t know how to treat people with kindness, which wouldn’t be the case if he had ever experienced getting beaten up. 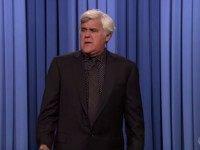 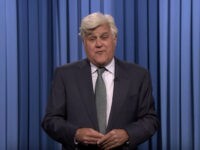 Former Tonight Show host Jay Leno took over for current host Jimmy Fallon during the opening monologue of Wednesday night’s episode, where the 66-year-old comedian poked fun at both Democrat and Republican presidential contenders Hillary Clinton and Donald Trump. 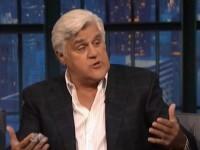 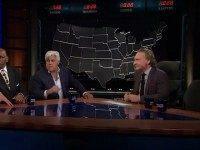 Former Tonight Show host Jay Leno doesn’t see much humor in the “race baiting” and “Islamophobia” of the 2016 presidential race, and in particular, of one specific Republican presidential aspirant. 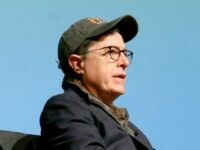 Former late-night funnyman Jay Leno thinks Stephen Colbert will be “really good” when he takes over hosting duties from David Letterman on CBS’ Late Show this fall – but he’d still like to see more diversity across the late-night TV landscape. 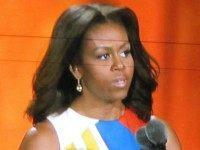 While President Barack Obama was in Kenya on Saturday, First Lady Michelle Obama addressed the inspirational and joyful opening of the Special Olympics in Los Angeles–atoning, perhaps, for one of the president’s most notorious gaffes. 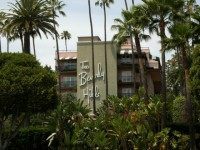 It has been roughly one year since celebrities like Elton John, Jay Leno, and Ellen DeGeneres initiated a boycott against the posh Beverly Hills Hotel, once a popular hotspot in the bustling, star-filled heart of Hollywood.